Book a San Canzian d'Isonzo vacation package on Expedia today! This is one of the best ways of saving time and cash for your epic vacation. Book now on Expedia and save up to C$590*! It's really that simple! With more than 400 partner airlines and 321,000 properties to mix and match from on our universal database, you won't have any difficulty crafting your perfect vacation. It can be enjoyable to just wander the streets when you're in a new destination, but sometimes it's a good idea to have a plan in place. Grab your itinerary — we have plenty of cool ideas for your impending San Canzian d'Isonzo vacation. There's an intriguing display of archaeological research on offer at Archaeological Area and the Patriarchal Basilica of Aquileia. It's a fun scientific day out for the whole family! Travelers have a great range of options in and around this destination. Spend a Sunday morning at Cathedral of Aquileia. While you're here, take the time to perch on one of the pews and lose yourself in silent prayer. Still got some time to spare? Want to learn the everyday details of human history? Experience an exciting insight into the peoples of yesteryear at Aquileia National Archaeological Museum. On the lookout for comfortable accommodations for cheap vacations or luxury getaways in San Canzian d'Isonzo? There are about 10 properties located close to the downtown area. Pick your favorite option now via Expedia. 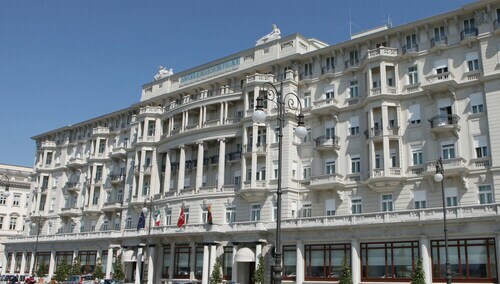 The Europalace Hotel (Via C. Cosulich 20) and the Lombardia (Piazza Della Repubblica 21) decent properties. Why not take a look at the services and amenities and then decide? If you plan to fly in, you'll most likely be touching down at Joze Pucnik Airport (LJU). After you've retrieved your baggage and exited the terminal, the center of San Canzian d'Isonzo will be just 55 miles (89 km) away. Situated in San Canzian d'Isonzo, this hotel is within 9 mi (15 km) of Redipuglia War Memorial, Colle Sant’Elia of Redipuglia, and Aquileia National Archaeological Museum. Archaeological Area and the Patriarchal Basilica of Aquileia and Cathedral of Aquileia are also within 9 mi (15 km). 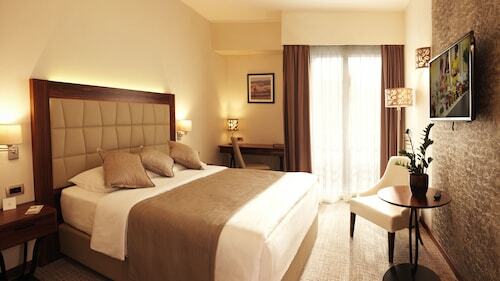 Located in Trieste City Centre, this romantic hotel is steps from Piazza Unita d'Italia and Piazza di Cavana. Palazzo del Municipio and Museo Revoltella are also within 5 minutes. Trieste–Opicina Tramway is 15 minutes by foot and Trieste Central Station is 14 minutes. 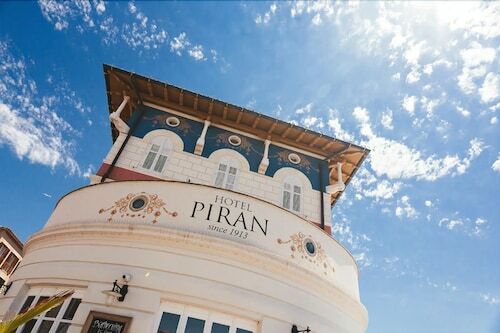 Nestled on the beach, this Piran hotel is within 2 mi (3 km) of Portoroz Beach, Piran Harbour, and Tartinijev Trg. Izola Marina and Lighthouse Park are also within 6 mi (10 km). 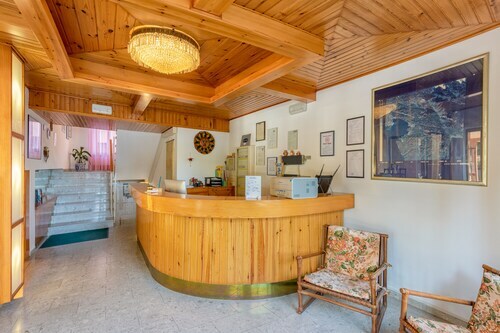 Located in Trieste City Centre, this hotel is within a 10-minute walk of Piazza Vittorio Veneto, Greek Orthodox Church of St. Nicholas, and Canal Grande di Trieste. Teatro Lirico Giuseppe Verdi and Piazza della Borsa are also within 10 minutes. Trieste Central Station is only a 4-minute walk and Trieste–Opicina Tramway is 5 minutes. Located in Piran, this beachfront hotel is in the city center and within 2 mi (3 km) of Portoroz Beach, Piran Harbour, and Tartinijev Trg. Izola Marina and Lighthouse Park are also within 6 mi (10 km). 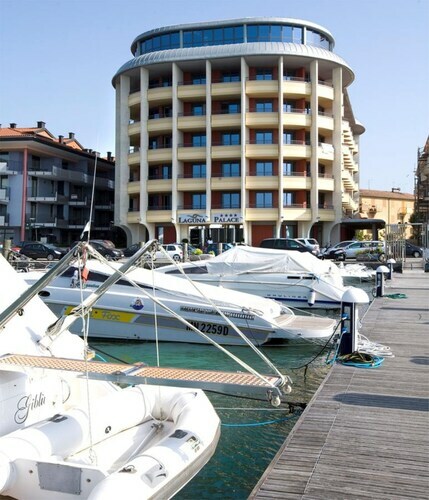 Situated on the waterfront, this spa hotel is steps from Piran Harbour and Tartinijev Trg. Portoroz Beach is 2.1 mi (3.4 km) away. Nestled on the beach, this Lignano Sabbiadoro property is within 1 mi (2 km) of Lignano Sabbiadoro Beach, Parco Junior, and Tennismo Lignano. 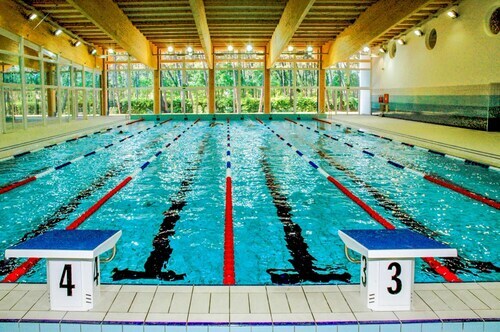 I Gommosi and Aquasplash are also within 2 mi (3 km). Sat., 4 Jan. - Thu., 30 Jan. Tue., 25 Jun. - Fri., 26 Jul.